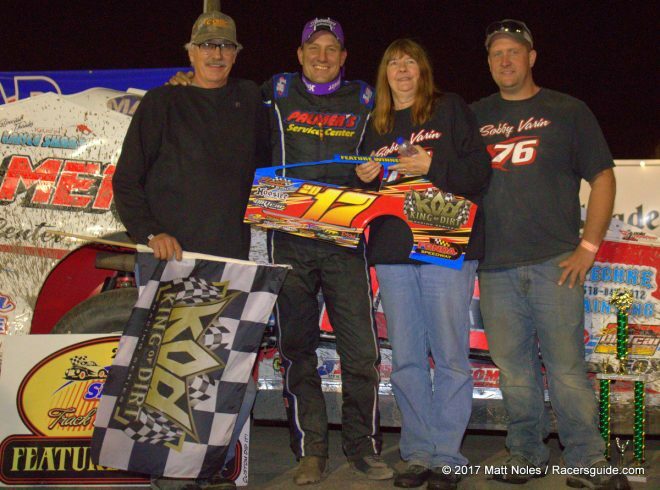 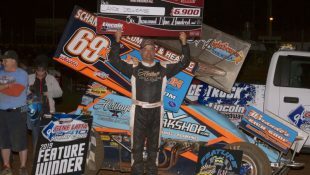 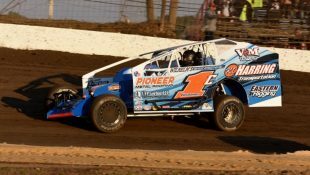 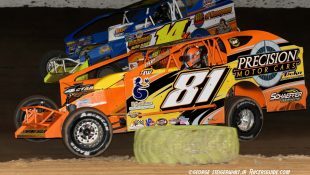 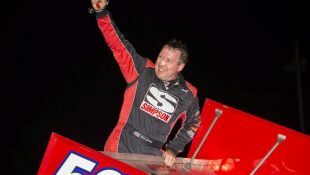 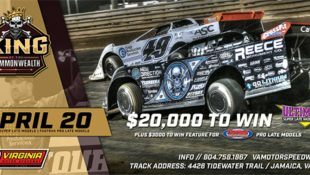 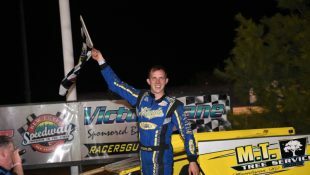 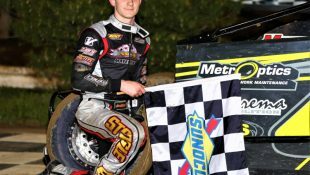 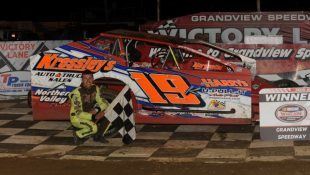 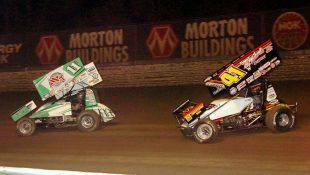 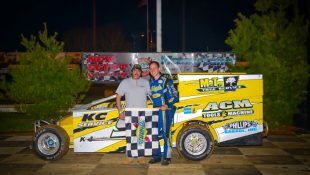 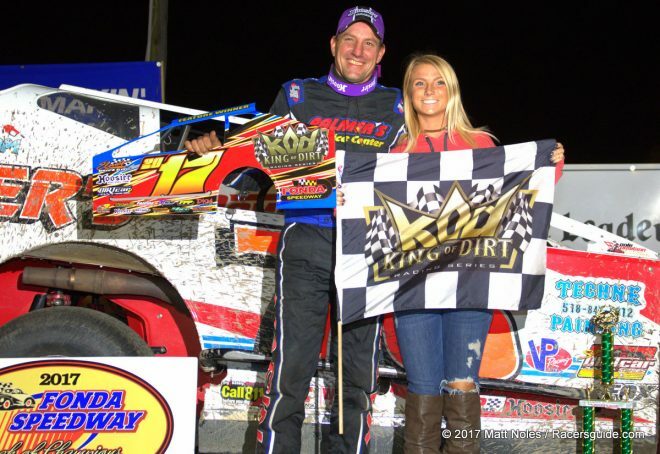 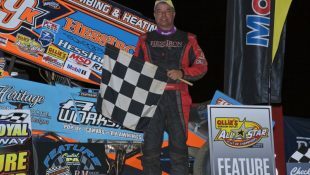 Varin Kicks Off Fonda Finale Weekend with King of Dirt Victory :Racers Guide – The Web's #1 Racers' Online Directory! 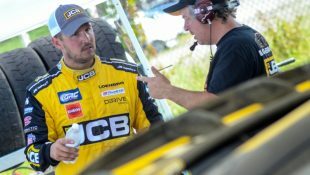 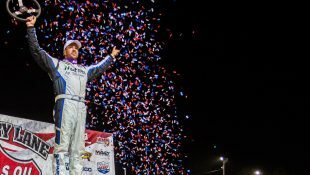 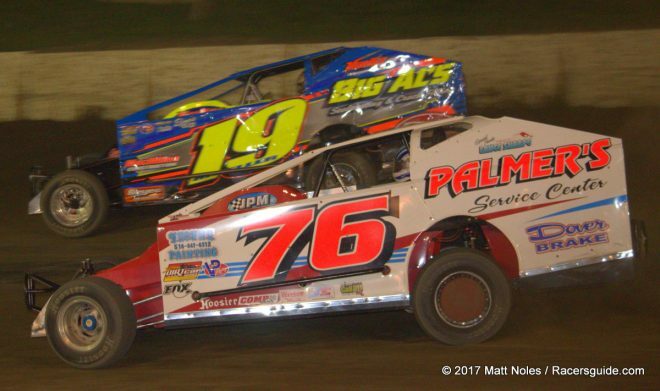 FONDA, NY – September 23, 2017 – There are moments in racing where youthful exuberance overcomes age and experience. 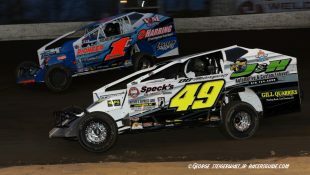 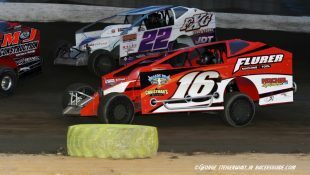 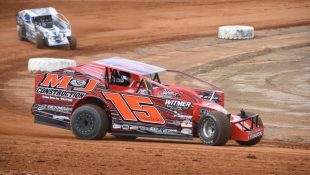 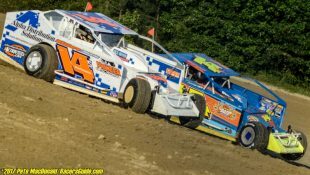 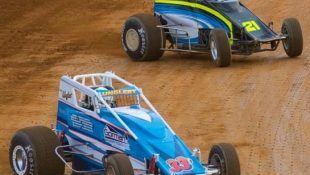 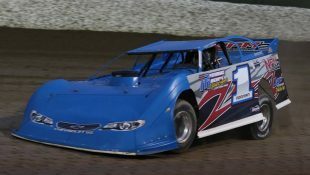 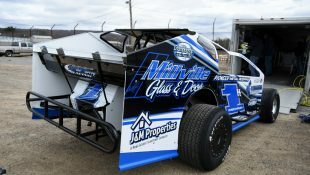 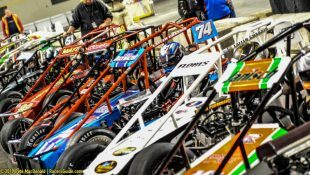 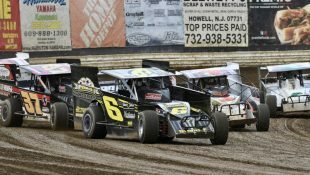 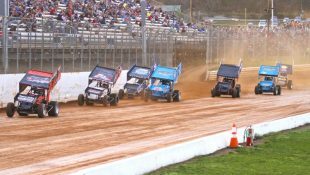 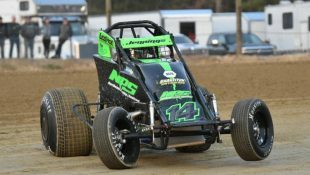 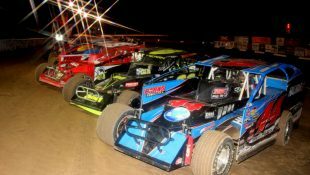 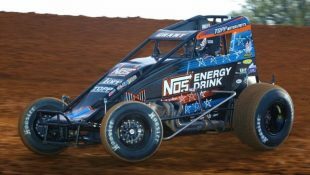 The small-block modified feature on Friday night at the Fonda Speedway in Fonda, N.Y. wasn’t one of those moments. 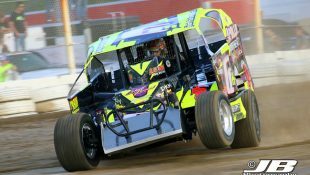 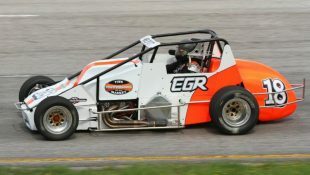 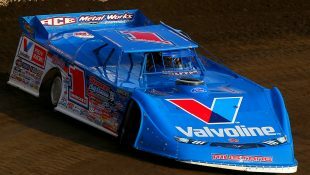 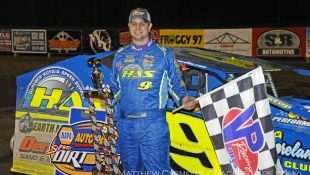 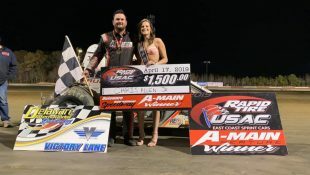 After a spirited game of cat and mouse between young gun Jessey Mueller and seasoned veteran Bobby Varin that began at the onset of the evening for the King of Dirt small-block modified tour finale, the six-time modified track champion used lapped traffic to his advantage and went on to victory for the second consecutive week at the historic fairgrounds oval. 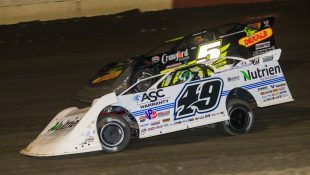 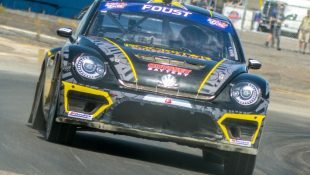 From the beginning of the night’s festivities, both Mueller and Varin were easily the class of the field as the duo put on a show that started during their qualifying event and culminated in an exciting battle for the lead in the latter stages of the 35-lap KoD feature event. 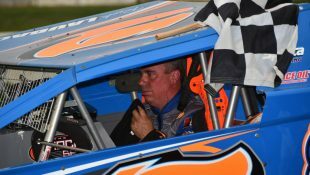 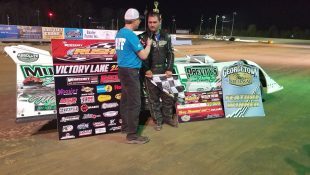 Varin, as he has done so many times before, came out on top and notched his 59th career win at the Montgomery county oval. 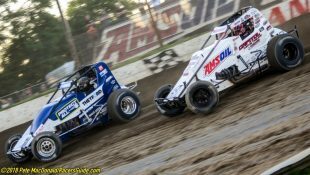 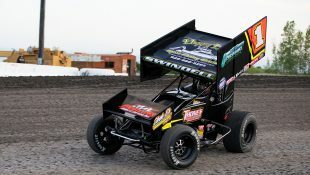 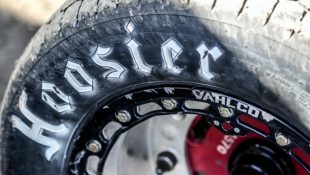 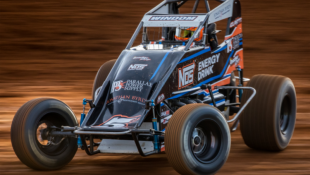 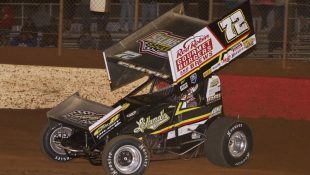 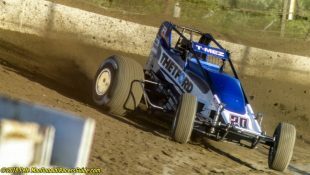 When the heat races were completed – one that saw some sparks fly off of the right side of Varin’s No. 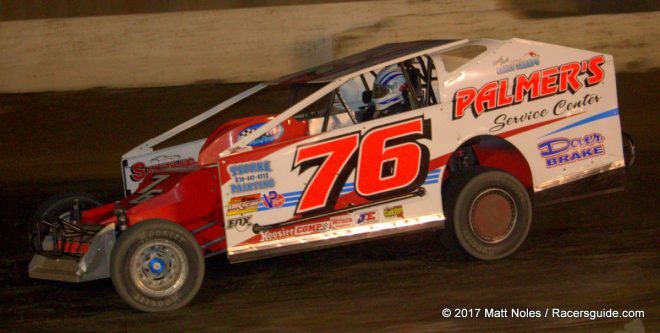 76 after he scraped the wall heading into turn one on the outside of Mueller – the stage was certainly set for what many race fans thought was going to be a continuation of the battle between the two modified stars. 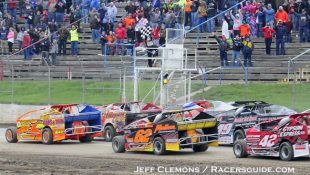 Needless to say, the aforementioned fans weren’t disappointed. 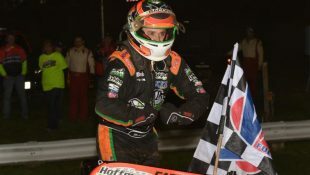 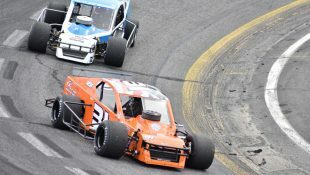 Dicey in an understatement as DeLorenzo’s misfortune nearly ended Varin’s night before he had a chance to contend for the victory. 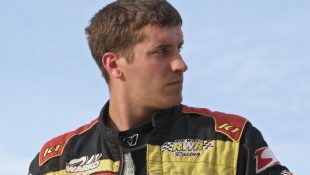 While all of that was happening, Wilder was forced to check up which in turn allowed Varin to sneak by into second before the caution came out and the lap was completed. 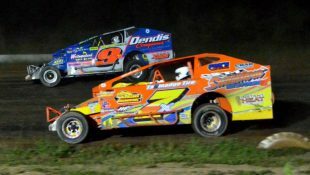 This put the wily veteran directly on the Mueller’s back bumper for the ensuing restart. 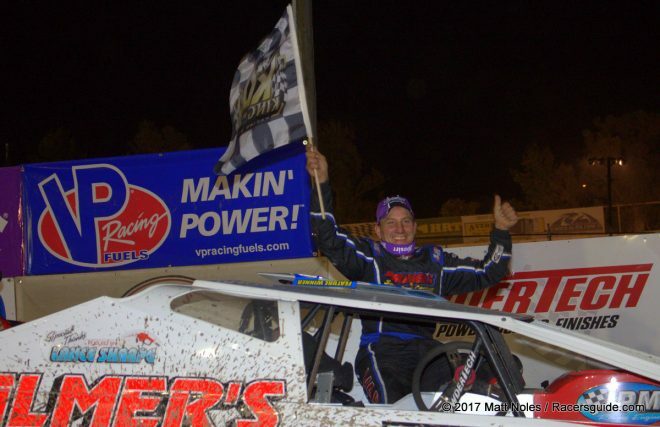 With a career that has seemingly been either feast or famine for the Sharon Springs, N.Y. native, the latter has been the case more often than not over the past couple of seasons. 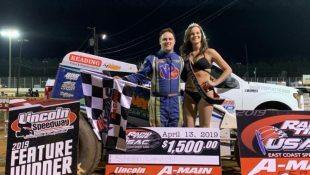 With his third consecutive win since last Friday night, it seems that lady luck has finally stopped giving Varin the dreaded cold shoulder. 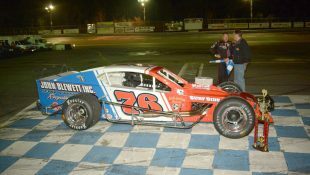 Anyone who knows Bobby Varin does so with the understanding that what you see is what you get. 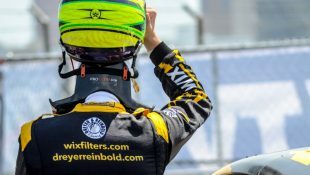 With that said, after using words like ‘thrilled’ and ‘ecstatic’ to describe his current race team, it may be safe to say that the driver many fans have grown to love and many competitors have grown to fear could be back in top form. 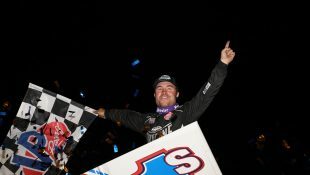 Then again, one could argue that he never really left.